CABORCA, Mexico, March 25th, 2019 (GLOBE NEWSWIRE) — Mexus Gold US (OTCQB: MXSG) (“Mexus” or the “Company) announced that developments at its Santa Elena mine, located in Caborca MX, continue in a positive and productive manner. The jaw/cone crushing screen plant has been moved into place. 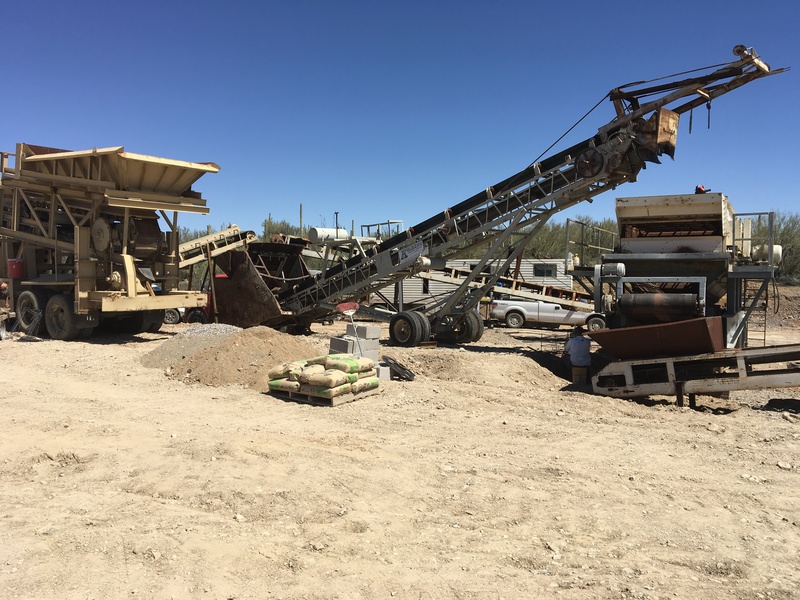 (see attached photo) Gary Borgus, Mexus electrician, is working on the necessary connections and setting up the control station to assure proper functioning of the crushing line. Mr. Borgus expects the system to be operational by April 1st. The system will include a 400ft conveyor system to carry the 3/4 minus material to the recently readied heap leach pad. The system includes a newly installed automated lime pH system. Mexus has been busy acquiring additional equipment which is necessary to operate the mine. The company recently purchased a CAT front end loader and a Gardner Denver hydraulic track mounted blast drill. This equipment is currently at the U.S. border and will be moved to the mine the week of March 26th. Cesar Lemas, President and head Geologist for Mexus Gold MX, (a Mexican corporation 100% owned by Mexus Gold US) confirmed that the company has sufficient ore grades to begin a 3500 ton per week mining operation with expected grades of 4 grams Au per ton. Mexus CEO Paul Thompson and Mr. Lemas are currently interviewing experienced metallurgists who have the expertise to assure the leaching process and subsequent gold recovery go as planned.